Camaras for Ir 192 sources and SE75 sources. Fixed scan equipment for use in a bunker with Co60 sources. Portable X-ray equipment up to 360 kV for use in a bunker and on site. X-ray equipment up to 450 Kv constant potential for use in a bunker. At most of its premises SCI has bunkers for X-ray and there is always the possibility of installing modular bunkers on a customer’s own site. 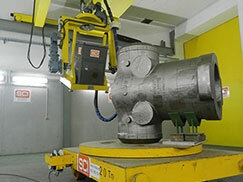 Since late 2009, SCI has had a 6 MeV linear accelerator at its facilities in Beasain (Guipúzcoa), exclusively for radiographic inspection of large components, SCI is the the leading Spanish company specialising in radiographing steel thicknesses of up to 300 mm in a bunker and has earned a global reputation as demand for such services in the metallurgical sector continues to grow. Digital radiography is an alternative to conventional radiography in which the film is replaced by a capture system whose reading provides a digitized radiographic image. 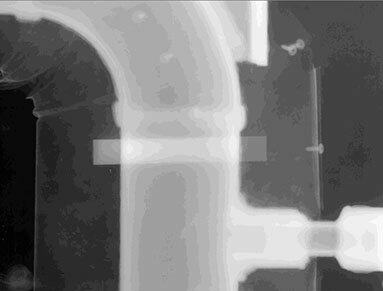 X-raying components in a large series. Simple filing and sending of images. No chemical processing of films. Computer programs with powerful assistance in the interpretation of images. Direct image capture panels (DR). This system involves an electronic image capture device obtaining the radiographic image directly and displaying it on a computer screen. Digital scanner and digital film (CR). This system uses flexible plates capable of capturing a digital image and is used in a similar manner to conventional film. These flexible plates are processed on a digital scanner which displays the radiographic image on a computer screen. SCI markets both the DR and CR systems, enabling us to provide a better service and guidance in accordance with clients´ needs. The measurement of thicknesses in heat pipes. The measurement of areas of porosity in components. The measurement of thicknesses in components. Complementing the use of conventional radiography, digital radiography is an innovation in the conservation of radiographic film and a solution to archiving problems. The digitization of radiographic scanner plates results in a very high resolution and a quality of scanned images similar to those of conventional film. Digital images obtained can be treated and used in a similar way to conventional radiographs. 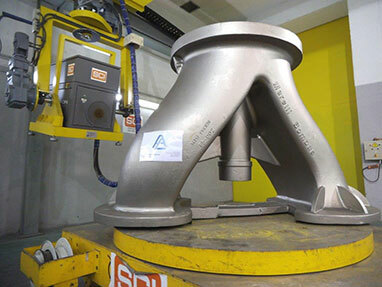 With the introduction of crawler type computers in Spain, automated radiographic gas and pipeline inspection has been greatly improved, allowing the examination of a large number of welds in less time and to a much greater accuracy. 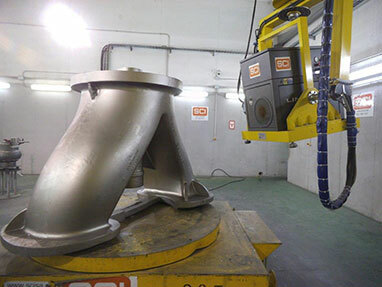 SCI designs and manufactures its own crawler equipment, suitable for diameters from 3″ to 60″. SCI has been a market leader in Spain for the inspection of oil and gas pipelines while under construction and has now greatly extended these service worldwide. Contact SCI by phone (+34 918844393 / +34 902888831) or via e-mail sci@scisa.es. You can visit us at our offices in Spain, France, China, USA, Mexico, Peru or Chile.